I had lots of great posts that I was working on this weekend. I have some fun ideas to share with you. But I’m going to hold off on those posts this week. Instead, I’m going to share a little bit about our summer and what my family has experienced. This summer my cousin Jeannie lost her 4 month-old-baby when he passed away due to complications from being born without an immune system. Two months later her mom, my aunt, passed away after a long and difficult battle with cancer. Today, just two weeks later, I am grieving because my other cousin Emily, (Jeannie’s sister), said goodbye to her 7-year-old son who passed away from being born without an immune system, two-failed bone marrow transplants, and then developing a rare form of leukemia. It’s been a time of such sadness for my family. I sit here and my heart aches for the parents who can’t hug their children anymore and for the kids who miss their mom greatly. But their story has blessed so many people around the world who have prayed over and cried for my family this summer. My family members’ hearts are absolutely broken but their faith is still alive. I know, and they know, that the Lord hears them, cries with them, holds them, and comforts them. But it’s another thing to live that out when you’re hurting. That’s true faith – the substance of things hoped for and the evidence of things not seen (Hebrews 11:1). They don’t have any answers except one – that God is sovereign and He is is control. I’ve been so encouraged to watch them walk their journey with the complete confidence in the Lord’s plan for them. God will come near to them and He will carry them through this time of acute grief. They will have a testimony that will continue to bless others and their faith has been tested greatly but will remain steadfast because it’s placed in the One who is unchanging, unmovable, all-powerful, and everlasting. In whom do you place your hope? 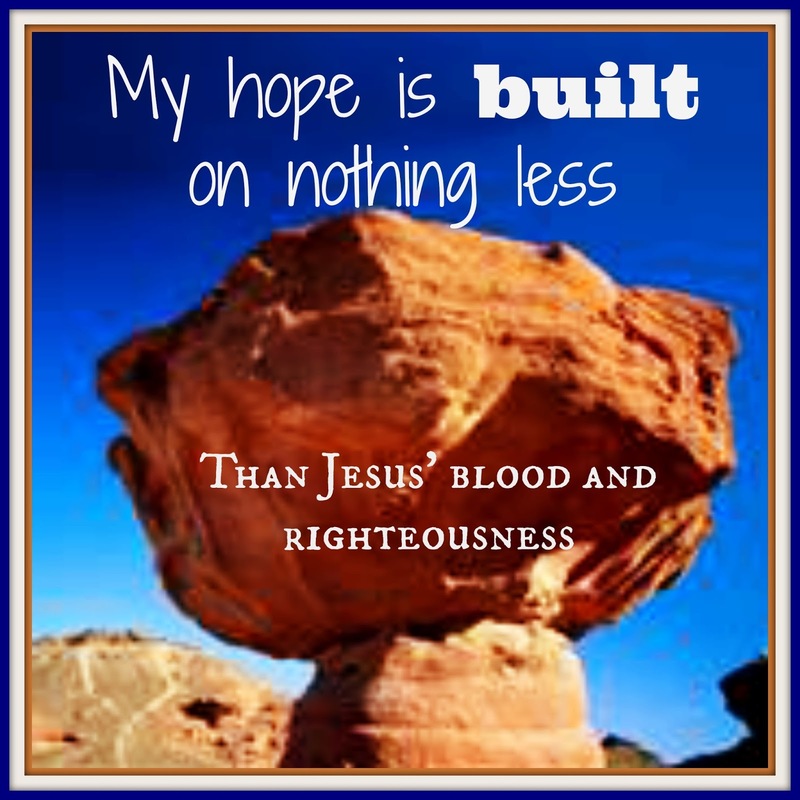 My hope has a firm foundation that is built on Christ alone. So, I can grieve and I can mourn, but I can still hold on to hope. I would ask that you would pray for my family as we celebrate their wholeness in Christ while still missing them greatly. You can read more about their story here on this blog. Saying a prayer for your family! God WILL carry you/them!